Yup that’s right, onion bread soup. I have been baking bread for the kids. It’s pretty easy and save me a trip to the store. Who doesn’t like the bread baking first thing in the morning?! My mom went back to Taiwan and left a whole bunch of onions and garlic behind. The onion has started to sprout. So I figure I better use them before a garden starts in my kitchen. I had some left over chicken soup from the Zesty Dublin Coddle I made a week ago when everyone was sick. I want to say, I love the internet. I can just search for ingredients I have and recipes just magically pop up! What did people do before the internet! Here’s the 411 on this delicious recipe. Cut up the bread. I used the heel of the bread which turned out beautifully! Cut up the onion and slice them. 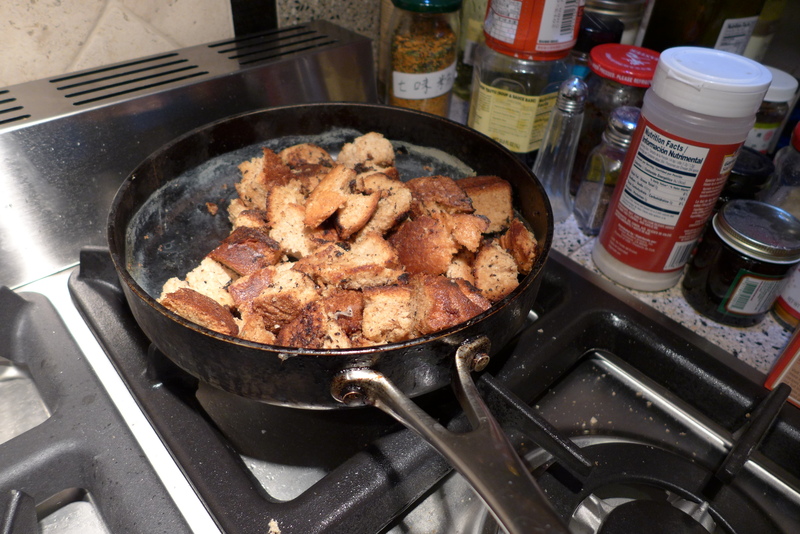 Heat up half of the butter and fry the bread until the bread is crispy. At the same time, heat up the other half of butter in a pot and chuck in the onion and garlic. Let it cook for about 10-15 minutes. Once the bread is crisp, turn off the heat and pour the milk in. 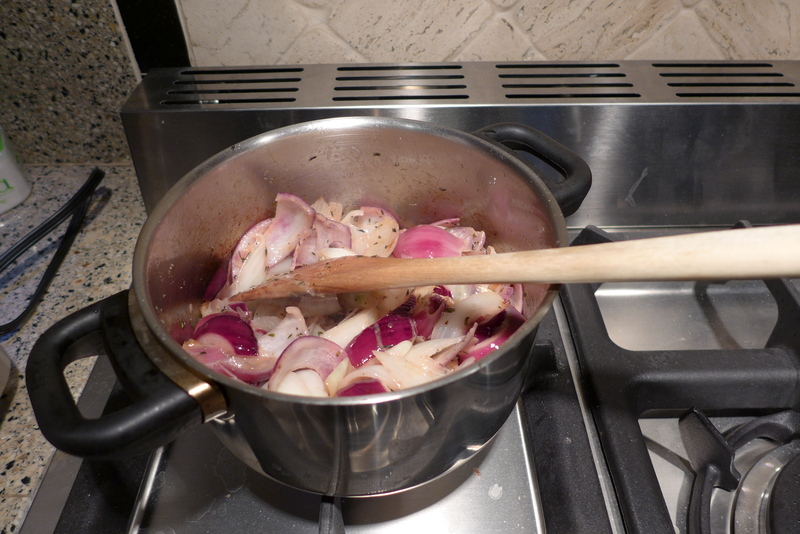 Add the chicken soup with the onions and put the bread in the soup and let it simmer for about 10 minutes. 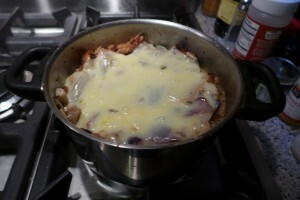 Put the cheese on top of the soup and cover until it’s melted. I also tried using the broiler to crisp up the melted cheese but that didn’t work too well. So probably won’t do that again next time. It was so good. I didn’t get to take the after picture!